Our friends at Noisy Academy set up a co-working space for music producers. If you are looking for a cool, creative environment to produce music without the hassle of bringing your equipment along, or if you write your thesis and you are looking for a place for it, or even if if you .don’t have any experience with electronic music production at all but you would love to give it a shot without buying all the equipment yourself, in any case, this is your place to go to. 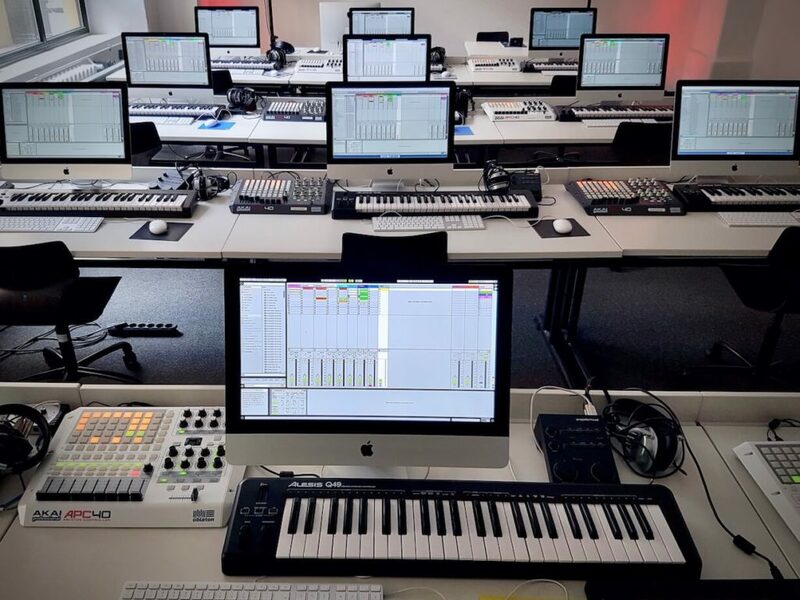 Noisy Academy offers a great opportunity to rent flexible working spaces, all stuffed with a brand-new iMacs,USB-Audio Interfaces, an APC 40 plus a MIDI-Keyboard and headphones. You can basically use the full scope of the Noisy Academy programs and rent a space by the day, week or even month to get crazy in their MacLab. In addition, they offer a great variety of cool drinks and selected snacks. If you have any question, shoot them an email.